Pardon the ridiculous title, but we gotcha readin’ didn’t we? Yes folks, I used the “S” word… today we are going to take a few moments to fruitfully explore the daunting topic of “marital submission”. We live in the world of the feminist agenda and female empowerment, that submission stuff is “old school”. “Marital submission” means the wife should only speak when spoken to, cook, clean, care for the children / have babies, only to disrobe the apron when leaving the house for church on Sundays or for marital enjoyment when summoned by the man. We could obviously keep going, but hopefully we’ve established “the point”… those ideas on submission are simply inaccurate, period. We could definitely use this nook and cranny of the web to quote every verse in the Bible about submission, but we will not. Instead, let’s look at the themes of what the Word communicates. The core message can be conveniently and neatly summed up with a few points, coincidentally, all taken from Ephesians 5. 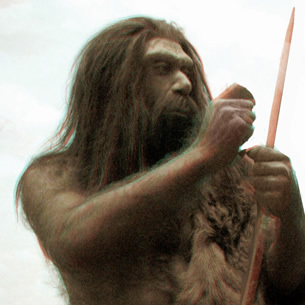 We know what you are thinking: “These guys really ARE feeding into a Neanderthal world-view”. Unequivocally, the husband is called to be the “head of the house” (as he submits to Christ). This, however, is a statement of position, NOT equality. Everyone follows someone or something. Two CEOs cannot effectively and efficiently manage an organization. Man and wife are equal in marriage, the man is only called to the humble role of Christ-focused leader. This is actually one heck of an intimidating calling! The husband is accountable to the Creator of the Universe for how he leads your marriage and serves you. Men, Christ calls you to present your wife “without stain or wrinkle or any other blemish, but as holy and blameless” (Ephesians 5:27). This is a blessing, but a very real and heavy responsibility. This verse makes us look at that pesky “life of Christ”, and is a fantastic “data point” for this discussion. Husbands are called to treat their wives as Christ served the church. He gave everything, including his life, to serve / uplift the church as he lived in congregation with, obedience to, and absolute dependence on the Father. Husbands should point their wives to and glorify Christ in all they do within their marriage. Christ led and loved through humility, sacrifice, and by actively serving others. Shucks… here is another “doozy”. The Bible does NOT say “Woman, submit to your man!” Both man and wife are called to submit to each other within their marriage, as both submit to, focus on, serve, love, and delight in Christ and each other (in that order). As you read scripture on submission, change the word SUBMIT to SERVE in order to maintain a better understanding of what Christ intends. Christ led and served the church. “Serve each another as Christ served the Church.” Hopefully light bulbs are clicking in your heart now. This does not absolve the man of the leadership position, it just appropriately orients is. Imagine how your marriage would look if the husband joyfully and consistently did these things as an inevitable result of his deeply prioritized, all-encompassing relationship with and worship of God. Asked you about your day, looked you in the eyes with complete undivided attention, and listened to every word you said. Did his best to create a peaceful home environment. Initiated being involved at Church and with a Bible study / small group. Picked up his clothes, made the bed in the morning, washed the dishes, cooked dinner, and completed other household chores without being asked because he knows how much you appreciate it and because he desires to make your life easier. Prayed and read the Bible with you and your family. Sought your knowledge, wisdom, and opinions for decisions about life. Brought you flowers / love notes / candy, just to let you know he was thinking about you. Prayed daily for you, your family, friends, future, life, spiritual protection, relationships, activities, etc. Intentionally, gently, and calmly talked / worked with you through any conflict. Engaged in loving conversation with you, taking care to not raise his voice, be sarcastic or condescending. Proactively invested in your marriage by seeking accountability from mentor couples, seminars, quiet getaways, etc. Consistently planned romantic, fun, and cuddly date nights. Never embarrassed, corrected, or talked down to you in private or public. Woke up early on Sundays to get the kids ready for church,a leaving in time to be early! Could genuinely never get enough of spending time with you. Only said positive and affirming things about you and your marriage to others. Prioritized honoring and protecting your relationship from outside control by relatives / friends, gossip, vulgarity, etc. Looks toward the future of your life together and prepares for it with you as his teammate. Did everything in his power to undeniably prioritize you above all else except his relationship with God. Of course this is not a complete list, but surely you get the idea. You should also derive that this man would never ask you to do anything that violated scripture. You are NOT being a submissive wife by commanding / nagging your husband to do these things! Your husband does not have to “earn” your submission. You encourage your husband to be this guy by serving, respecting, and affirming him. Fellas, are you that guy? It’s fair to say I have plenty to work here as well. You will only become this guy as you make Christ the center of your life. Simply put, you lead your spouse as you actively initiate purpose-driven, Christ-centered, passionate love. You must lead in love. Lead in servanthood. Lead in prayer / Bible reading. Lead in romance. Lead in passion. Lead in humility. Lead in pursuing Christ. Lead in knowledge and grace of Jesus. Lead in prayer. Lead in serving and giving to the church. Lead in giving of yourself. Lead in joy and laughter. Lead in patience. Do not focus on “getting” in your marriage, focus on endlessly giving. There is no end to how much you can give when the Holy Spirit dwells in and flows from your core. What has shaped your view / understanding of “submission”? In which aspects of your marriage are you doing well? In what areas may you need to focus on / improve? In the comments below, many readers posted of their sadness and frustration related to living in a marriage that seems one sided. I definitely want to encourage you to continue praying, seek out relationship with strong people of your same gender at church, talk with your care pastor, pray constantly, and continue seeking to show the love of Christ to your spouse. OUCH. That hurt. In a introspective way of course. This would be great to discuss privately in leader’s circle. I think you should share this article with everyone there so we can discuss. This was a good read…and I agree with Neesha; definitely something that could be discussed in Leaders’ Circle. Further, this probably could be a devotional pulled out for husbands and wives to go through together multiple times a year. I don’t think a husband can ever be reminded of the meaning of these verses too much. I am hoping that the picture is a cave man not a cave woman! Ugh. I have always struggled with the submission…I mean serving. I am way better than I used to be but my ugly pride and ego rears its hideous head from time to time and I honestly forget all that I know to be true. Double Ugh! This is a great post and a great conversation starter. I love the discussion questions. I am grateful that Colin and I figured this out pretty early in our marriage. Thanks to those marriage retreats! Though I must say he is much better at putting it into practice than I am. It really is amazing when we think less of ourselves and more of others. Everyone is loved in the end. Thanks for sharing this! I will pass it on! It seems like looking at the list given that there are a few things o need to work on. I think we as women need to follow those same guidelines in our mariages. We can’t expect our men to do all the work being wonderful! While at the moment i am feeling so worthless that i would like to just not exist a small part of me wants to win my husbands devotion. He is a good man who just cannot let go of his very bossy, judgemental and conditional family. However it is going to take some phenomenal digging on my part to adhere to these principles when i am feeling so beaten down. Welcome to God’s beautiful plan for the home! It works when we follow His perfect design! Good point, and well-stated. Men have a high calling to be Christ-like. Women who respect this role and encourage his efforts and strive to follow his lead can make a tremendous difference for good. Submission is a form of slavery. It states that women are not free in their own home. The bible only believes in freedom for men-how sad. Sandy… Fortunately, your information and understanding of scripture is incorrect. Where do you read “The Bible only believes in freedom for men”? She is right. The Bible degrades women from cover to cover. They are treated as inferiors with no rights, who are nothing more than the property of men. Submission is not for Godly order. Women are to submit because they are considered the property of the husband. (Woman was made for man, not man for woman. Man is the glory of God, but woman is the glory of man. Women are subject to their husbands????) These verses are very misogynistic and they do not teach equality. I am tired of Christians teaching that men would be wonderful and change if women just submitted more. That is simply not true. Submission in everything does imply the husband’s right to control the wife’s autonomy. It is not about leadership. It is about control. Does this not mean he could command her to quit her job, dress differently, decide when and what she eats, when she can buy a new pair of shoes, what color those shoes will be, when she should water the plants, etc. Not all men will go this far, but the Bible permits them to. This is really scary. For many women, me included, it’s about feeling safe. I don’t feel safe in church with men who accept this doctrine. I think you are misleading above when list all the things a husband could do for his wife, then state, Would it be so hard to submit to a man like this? then imply that wifely submission is the way to make it all happen. You continue to say that a man does not have to earn a wife’s submission. Do women have to earn the right to be loved like Christ loved the Church? Egalitarian marriages work just fine. I know many people is this type of marriage structure and it’s beautiful. I don’t know how a good God could have a problem with mutual compromise, respect, love and decision making. I don’t know why a good man would not want this. Would you advise egalitarian people to change their marriage structure? I left Christianity over these doctrines. They do not work. Here is why: Complementarian Christianity is just a fancy term for patriarchy. Patriarchical societies all fail. So will patriarchical marriages. Real men don’t want nor need to control and exclude their wives. Note: Egalitarian does not mean men and women are exactly the same. Nor should they strive to be. There are healthy differences between the genders. It just means one gender should not make all the decisions while one is treated subserviently. Ladies, do you really want to be slaves of you husband/master? You are just as good, possibly better, than he is. Why would you give up all your freedom because a 2000 year old book tells you too. I can see why the men like it-they get their own little pet slave. Please, believe in your equality!! The other people you are being compared to in the bible are slaves and children! Is that what you want out of life-to be a slave or a child forever? When people say submission is equality-i have to laugh. Can you tell me a relationship among 2 people, 1 who has all the power, is equal? God doesn’t want you to be a slave of your husband. God believes in equality and love, not submission and slavery. the bible God seems to hate women, and want them to be slaves-with no control of their lives, and no choices (except those which the husband/master gives her). God is good, the bible is not. If the bible is correct (and I know it is not), then this God is a misogynistic god. That god hates, despises women. I think it’s the men who wrote the bible that despise women. Who would say such horrible things? Sandy… I think you have completely missed the point of my post, and much more importantly, scripture and how much the God of the Bible and Jesus Christ love you. Based on your tone and claims you seem to have an agenda… however, I would love to discuss this with you if you are interested in being open and honest. You should definitely take freedom and truth in knowing that NOWHERE in scripture is your suggestion of “slavery”, “being a pet” or “control” supported, promoted, or encouraged in any way whatsoever. The core message is for husband and wife to submit to and serve EACH OTHER. The “Bible God” loves men and women equally because (1) they are his children (2) they were intentionally created in His image. Socio-politically, the Bible promoted “female equality” despite prevailing cultural norms of the time. You said “if the Bible is correct (and I know it is not)”… what is your evidence for this claim? How can you submit to your husband when you dont know how to or when you do he makes you feel less than what you are? How can you submit to your husband when he doesnt appreciate who you are? Your short comment clearly shows that you are in pain and that this is a rough situation. That is heartbreaking. If there is any kind of physical abuse involved, you should go to your pastors and local authorities immediately. Unfortunately, there isn’t a short or warm and fuzzy answer for you, and I apologize if this quick reply seems a bit sterile. Our callings, situations, and obedience are not always easy. My suggestions will not be “easy” for you… but you will hopefully experience the love of Christ and the truths of scripture more profoundly. The calling to submission obviously does NOT involve doing anything illegal, counter to God’s nature, or anything against scripture. Ideally you should find your identity, fulfillment, and sustenance primarily in Christ. Of course your desire for deep connection with your spouse is appropriate and part of your core design. You should seek to serve your spouse sacrificially. There are many stories of men having transformed hearts because of the diligent and sacrificial faithfulness of a Christ-loving and seeking wife. I suggest lots of prayer. We have to believe in the transformational power of the Holy Spirit. I surely hope your husband finds Jesus, and “man’s up” to being a better husband and submits to his joyful responsibilities of deeply cherishing and leading you well in his words and actions. …then you render irrelevant to a women’s decision what her man is like. That’s a free ride for sexist men and the very basis of pre-christian Roman patriarchy. You are saying women need to submit to the “office” of husband regardless of the whole relationship dynamic. That’s not Christianity as I understand it – just old fashioned patriarchy. I presume its based on Paul even though Paul is not trying to write what is ideal for all time but what least rocks the boat in the short time (as he thought it would be) till Christs return. That’s how Paul treats slavery – not to endorse it but to tolerate it for now. Tony: I don’t quite fully understand what you are saying, but I will try to respond to the best of my ability. With the exception of abusive relationships, a wife should ~appropriately~ submit to her husband regardless of his attitude or whether or not he “deserves it”… just as a husband should do the same. It is definitely not ideal when a husband does not sacrificially love, serve, and lead His wife… but that doesn’t absolve the wife from honoring and sacrificially loving and serving him. I believe your understanding of the text is incorrect, but that statement can quickly devolve into Bible-dart throwing, which isn’t the point and is rarely helpful or beneficial. Paul’s instruction applied to the people of time, but also fits as an ideal for for all time because (1) it does not violate any theme of scripture (2) it supports and reflects many core teachings of scripture: grace, mercy, service, unique creation of man / women, wholly displays the fruit of the the Holy Spirit, etc. The position of male headship in the family is a theme throughout scripture that starts in Genesis. I also do not suggest unequal intrinsic worth of man or woman in any way. Male headship is a very heavy responsibility. Men (and women) are called to submit to Christ’s “office” of kingship regardless of our attitude or opinions; thankfully he is perfect. Most importantly, Christ’s sacrifice is the ultimate example… he loved and died for His church and His people regardless of whether they / we deserved it. Humanity murdered Him. At 17, I was forced to attend church by my parents. I knew that this church was sexist and I knew I would not attend as an adult. On this day, the wives submit verses were read. Not elaborated on, just read. That moment changed my life. I thought, I’m almost 18, almost free, why would o ever want to get married. At that moment, I started to hate men, thinking all they wanted to do was dominate, and become a “head”. On that day, my life was ruined partially. I could never look at men and marriage the same. True to my word, I never went back to church, and never got married. Whenever I started to like someone, I read those horrible verses, and ran the other way-real fast. I’m still struggling with my hatred of men, and hatred of myself because on that day, I felt that this god wanted to make a slave of me. The point of this story is that those verses hurt people. Although I am no longer a Christian, those words are not as easily discarded. I still believe in God just not the Christian God of the bible. I still feel that god hates me. Why can’t I get over this. I’ve rejected Christianity and the bible, why can’t I get over these feelings? At 17, I felt I didn’t need a master or a “head” and I still feel that way 30 years later. Anyway, even an equal marriage is out of the question, since I cannot like men-all because of those words. I am not homosexual, so an intimate relationship with a woman is out of the question, even though am able to have close, non sexual relationships with them. My life has been guilty of hate because of that day. Why does this aspect of Christianity bother me so much? It doesn’t concern me. I want to let go of the hate. The hate towards men, Christianity, and especially myself. Any suggestions? Sandy: I’ve thought a lot about your post, but have been struggling in responding. Thank you for sharing your story. Your post contains many deep questions and hurts that I could definitely not respond to with any justice without knowing you more deeply. I understand you did not ask for a response. I don’t quite understand the connection between those verses and your hatred of men. There is no doubt that Satan desires to disconnect you from the powerful truth of scripture, and Christ’s love. We live in a world that is broken because of sin and evil. The turmoil of sin wants us to believe lies that oppose God’s truth and His created order. We all need and have a master/”head”, it is Jesus… he is a worthy, lovely, joyful, peaceful, patient, loving, kind, gentle, good, powerful, protective, faithful, and amazing master. He is God. The simplicity of this message can be lost because we hear… Jesus loves you so much that he died for you. The simple truth of the Gospel is that the God of the Christian Bible is the only God. He mysteriously and divinely exists simultaneously as 3: Father, Jesus Christ, and Holy Spirit. Jesus, while still God, was born into humanity, lived a perfect life, was murdered, then conquered the snares of death by getting back up… hanging out with folks… and eventually ascended back to His throne in Heaven. If Jesus truly died and came back to life… he is in a unique position to tell us about the truth of creation and life, and we can also trust his self-declaracions. Humanity is invited into an eternity in the presence of the almighty and graciously good God by believing in and following Jesus. I would like to encourage you to read my recent post: Who You Are In Christ… You Are More … https://www.christianmarriagespice.com/who-you-are-in-christ-you-are-more/. God does not hate you. God loves you. He loves you regardless of what you think about him. He has done so many things to show his love for you. I do understand where you are coming from, although I’ve been married ten years and have six children, I can understand. I grew up in a very abusive home and the lessons learned there carried right into marriage. I am a fearful, frightened person who has learned to lay very low. I was traumatized when my husband lost his temper for the first time. While I have a poor memory for a lot of things (many reasons), my memories of bad things are so sharp one would believe they happened only yesterday. I can remember unpleasant incidents with all details and I experience sharp pain every time they flash into my memory. I have learned ways to avoid bad incidents and try to do all in my power to avoid problems. My husband doesn’t understand me at all, and I am afraid of him because I don’t like any arguments or heatedness. Nothing of what has happened between us would really be any problem if I was a whole, healed person, but I am broken and traumatized. I have been so for most of my life. You can live a full life even if you are broken and traumatized. I would encourage you to read books by Elisabeth Elliot; she is a wonderful author. I stumbled across this site while searching for help. My husband and I are recently married Christians. I am what I would call a baby Christian because only in the past few years have I given myself to Christ. But it seems the more I try to submit to my husband the more he takes it for granted. I pray constantly over this but I don’t know what else to do. Please help? Hello… I’m sorry to read that your husband is not leading and loving you well. My suggestion is to talk about this with the care pastor at your church, continue praying constantly, and consider reading some of the books mentioned earlier in the comment thread. I am responding to the post wrote by Sandy some time ago. I read many christian marriage relationship blogs and have seen her story on lots of them. Although I don’t claim to fully understand Sandy I do think that her problems aren’t due to the bible but because of presentation of scriptures pertaining to wives. There are probably also injustices she witnessed against women by men in her early years. Let me tell you a little about myself, I have been married for over 29 years to a wonderful man who has been so very good to me. However, I struggle with similar emotions as Sandy. My husband is fully aware of my problems and has repeatedly assured me we will get through this. I feel so bad for him because he deserves better. He sometimes has to look at me and remind me, you’re not married to them, I am not your dad. He will often ask me, have I ever done anything to make you feel less than or inferior? Of course he hasn’t. I apologize and realize that I have once again transferred blame for past things to my dear husband. In addition to transferring blame for past ills to my husband I sometimes resent God for these past injustices. I am 50 years old and still struggle to figure out why I do this. I do sort of understand it but it isn’t entirely logical and I realize that. It is incredibly important for fathers to have a good relationship with their daughters because it will affect their ability to have a good relationship with their husbands as well as other men. It will also affect their feelings about their relationship with God. Not sure how successful I will at explaining this but I will try to. If in a family, the husband is selfish, neglectful, self serving and doesn’t treat his wife or family fairly his daughter will notice this. Sometimes daughters don’t understand that dad is not behaving as God wants him to and as a result of hearing scriptures about husband being the head of the wife and that she must submit they mistakenly think God is sanctioning their dad’s behavior. Sometimes this happens because so much emphasis is placed upon the submission of the wife and most lessons barely touch upon the scriptural requirements for the husband. Which is really sad because he will also be held accountable for his behavior. Daughter then thinks God is okay with dad’s treatment of mom and she begins to resent God because after all he allows this treatment and even commands it. Obviously this is false but it can get very messed up in the mind of a teenage girl. It did in mine. My husband is always reminding me that God is not responsible for this man is. Still I from time to time struggle with this and ask why God do you allow this? Don’t you love women? Of course he does but scars from the past are hard to erase. I hope I haven’t made this so confusing as to not be helpful because that is not what I want. I encourage husbands/dads to understand that your behavior towards your wife is telling your daughter what she should expect from her future husband but more importantly, it is telling her what God thinks of women. Men hold tremendous power when it comes to the emotional well being of their daughters and their love for their wife and their daughters helps them to see that God loves them and didn’t wish to harm them with his commands. Marie, I started out agreeing with what you wrote, until I got to the part about dads and their relationship with the daughter. We put too much emphasis on this and there by giving girls that impression that they are not valid or of value, unless they have a close relationship with their dads. Girls are not made valuable by a man. As an person who has worked with children and teens for years and as a woman who has female friends and female relatives who have brought up daughters without dads being in the house time or just not giving much quality time to their daughters, I fully understand that it is not about a man being in a girl’s life, but about the guidance and love of a devoted mother, in addition to other valid support systems. So we indeed need to stop making a daughter’s success all about a dad her dad. .
By the way, in some of the homes, it was true that some of the dads and uncles, were molesting their daughters. This was reported and the girls are now safe. But we need to be careful how much we elevate and exalt men. This is some of the reason we have so many problems in relationships. Let us speak the truth and lecture both husbands and wives, not just wives. Men are sinners and women are sinners. It is totally untrue that fathers have more value in a daughter’s life, to the extent that she is not whole without him . We need to stop pushing this man aide notion. How dare you all minimize mothers, the one who gave birth to her daughter. This is a very late response. I posted almost a year ago and forgot about it. Just now stumbled upon my previous post. This is in response to Beryl. Beryl, hopefully it was unintentional but you seem to be totally misunderstanding and misrepresenting my point. It was not my intent to downplay the role of mothers at all. However, it was my intent to make dad’s think about the fact that a daughter may view abuse by a dad as being God sanctioned. I resented God like crazy as I was growing up, in fact I hated Him for setting up what I saw as a tyrannical and unfair situation. As a young girl I was not able to properly sort out that dad was not behaving in a scriptural manner. All I knew was that dad was in charge because that is the way God wanted it. How could I love a God that set this system up? The truth of the matter is I didn’t, I hated God for doing this to women. Again, I was young and immature and not able to properly sort out that dad wasn’t doing things God’s way. All I understood was that dad got to have everything his way because God said so. Again, these ideas were forming in a young and immature mind. Fast forward to this day. I am now 51 years old and although I can logic my way through this much better, I still have problems with resenting God and I trace this back to the fact that I developed at a very young age a distorted viewpoint about God’s plan. I just want dad’s to understand the influence they could have on how their daughter might view God’s plan. Especially how they might view a marital relationship. There is a reason I stumbled upon this article again, this subject still torments me. There is a phrase that applies, I can’t remember exactly how it goes but something like this, “it is easier to build strong children than to repair a broken adult.” I am a broken adult who decades later still struggles with the concept of submission and loving God due to seeing it played out so poorly in my childhood. Although I logically know better, I can’t seem to see it as anything but demeaning and degrading. A continual war rages on in my head and I just want it to stop. I just want to be at peace with God. I have a great husband so my struggles really make no sense at all. Yet they continue. I trace it all back to a warped picture forming due to the way I saw it all played out as a child with my mom and dad.